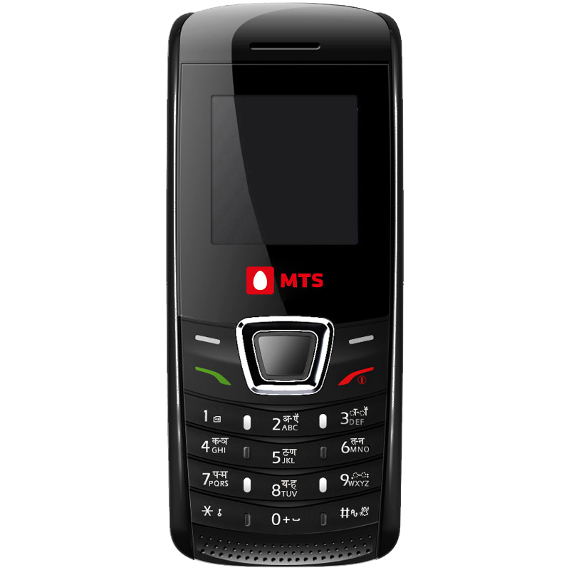 Sistema Shyam TeleServices Limited (SSTL), also known as Mobile TeleSystems and commonly referred to by the abbreviation MTS has launched it’s basic feature phone named, “MTS Striker C121” in Kerala with exciting tariff offers. MTS India is a subsidiary of Russian conglomerate Sistema operates across whole India. MTS provides wide range of services including wireless voice, broadband Internet, messaging and data service in India. To enjoy and absorb the fun of these bundled offers, customers just need to buy the handset which is named as, ” MTS C121″. Specifying complete details of the plan, in this pack it has been offered with MTS to MTS local calling at just 10 paisa per minute. Local calls to other networks at 10 paisa per 20 seconds and STD calls at 10 paisa per 15 seconds. These benefits are available for customers for six months post activation. At the launch Radhakrishnan KV, Chief Operating Officer, Kerala – MTS India said, We at MTS constantly look at innovative ways to engage and excite our customers. As a part of this endeavor, I am proud to announce the launch of MTS Striker C121 with a special tariff of calling at 10 Paisa for our customers in Kerala. This would empower MTS voice customers to stay connected with their loved ones at the lowest calling rates. Giving an overall glance towards it’s technical specifications, MTS Striker C121 sports 3.65cms (1.44”) TFT Screen with 65K color support. It has a light weight fibre body with attractive dual tone colors. The body is design is sleek and has ergonomic shape which perfectly fits into the palm. It is also equipped with a bright LED Torch. In terms of power capacity, this device is equipped with 1000 mAh of battery with a talktime of 500 minute and a standby time of 15 days. It also has one touch access to MTS Planet for a range of popular wallpapers, latest ringtones, exciting games and much more. The MTS Striker C121 is available for Rs. 799 through its 25 branded retail outlets and 10,000 mass retail outlets across Kerala. If from last 2 or 3 days you are trying to find way to get 20GB 3G data on BSNL for Rs.